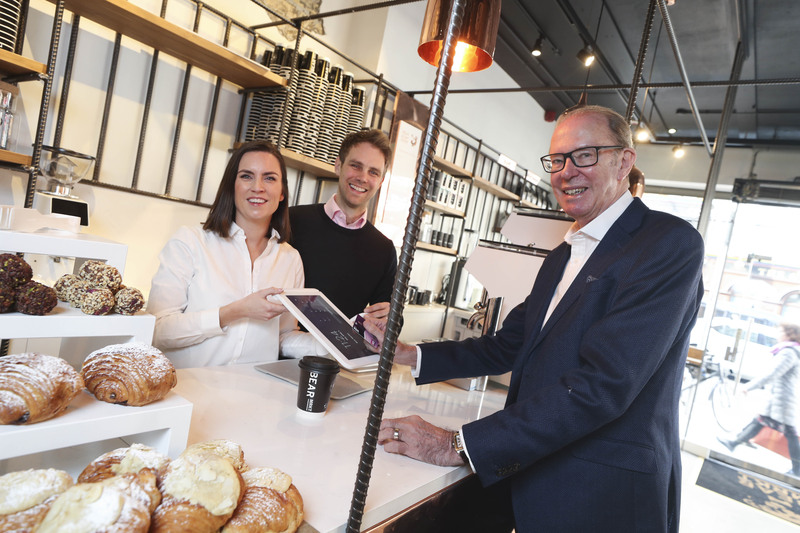 A cashless coffee store has opened its doors this week in Dublin’s George’s Street. Customers at Bear Market Coffee’s new outlet will be able to purchase their americanos and flat whites by tapping and going, but not with notes and coins. Technology is key to the operation of a cashless enterprise, and Bear Market have partnered with Magnet Networks to provide a full retail solution which includes secure dedicated internet access, cloud voice, and enterprise-class Wi-Fi. “We have heard a lot about the slow death of the high street and retail, but digitalisation offers a real chance for the shopping industry to evolve and form a new relationship with customers based on information. “Working with some of Ireland’s leading retailers, Magnet Networks’ dedicated internet access technology provides the foundation for next-generation digital retail growth. “The Magnet Networks One Stop Retail solution is based on the elements of diverse connectivity and complete security. “Our broadband is brought in to the premises via two different technologies – fibre and wireless – providing constant back-ups to each other so the business can never be offline. “If you lose connectivity or even broadband quality, then you don’t just lose business days, you lose revenue and possibly customers. “Cybersecurity is vital when you are dealing with electronic payments we provide a managed firewall and advanced endpoint protection. When Bear Market engaged retail consultancy 180 Degrees to work with them on the next phase of their evolution, cashless was one of the first things discussed. 180 Degrees have worked with Flying Tiger, Hallmark Cards on future strategy and rollouts and are currently launching an online e-learning training platform for the Duty-Free World Council. “Reliable connectivity was an absolute requirement for our cashless store, and all roads pointed to Magnet Networks to provide a failsafe dedicated internet access service,” said Derek Hughes of 180 Degrees. The cashless store allows Bear Market to provide an even better customer experience with less queues and the facility to order in advance and collect via their app, according to Stephen Deasy of Bear Market. “We are finding that our customers are increasingly living cashless lives and using their cards for even the smallest of transactions,” he said. “From a business perspective, there are numerous operational advantages from cleanliness to security, as well as the fact that not moving cash from one location to another cuts down on carbon miles. “We need total security with built-in failsafes and fallbacks so we never lose connectivity. If we lose our broadband, we lose business, it’s as simple as that.